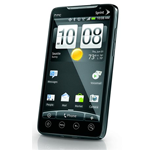 Capychimp, a member of the xda developers forum in the past had already borne the interface of HTC Sense in version 3.0. Now, that same hacker has managed to integrate the latest version of HTC Sense 3.5. In short, this system that is based on the Android version 2.3.4 (Gingerbread) / ROM: Bliss / Build: 1.10.401.0 WWE RUU. Based on initial feedback, the composition has a few compatibility issues, particularly in terms of Bluetooth connectivity. Apart from this, the first users seem generally satisfied for an interface which is theoretically still in beta.